I'm on from about the 8:30 mark to 15:30. The easiest thing to do is to hold down the fast forward button and advance to my talk (at least that was easiest for me - when I tried to drag the progress bar to the right spot it jumped all over). But don't just click the fast forward thing, as it will just skip to the end that way. Ah, technology. They have to slice the livestream recording into all the different presentations before it goes up on YouTube, but I'll be sure to send out that link when I get it. It was a great day. All the speakers were so interesting, and I was particularly impressed with how well the students spoke. And the workshop was fun. It's always neat to see what other people come up with. 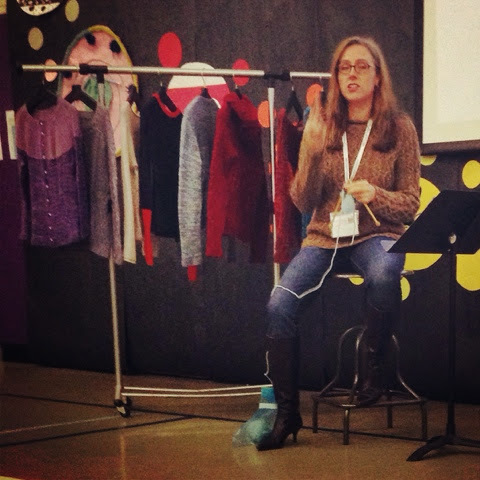 This talk was also a good warmup for me for my designer talk in January at Knitty City. More on that as we get closer. You can catch the whole event today from 11-2. My talk will be some time before noon. And the talks will be archived on YouTube afterwards. 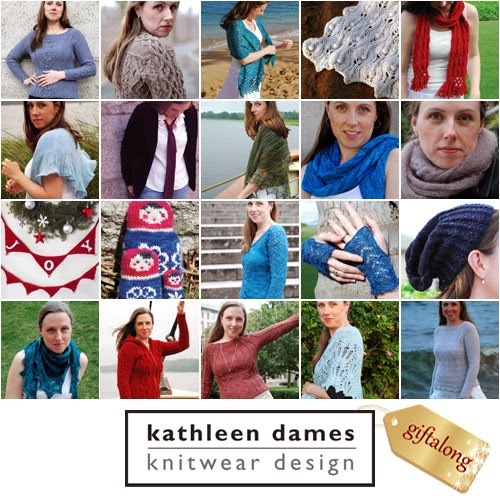 Hop on over to Jane Austen Knits for my next design. Perfect for Emma to wear on a visit to Donwell Abbey, the Strawberry-Picking Shrug is pretty enough for Emma, while warm enough to satisfy Mr. Woodhouse's fears of catching a chill. Knit in Malabrigo's Lace yarn in the Cactus Flower colorway, this project is a manageable introduction to lace knitting on both sides of the work. 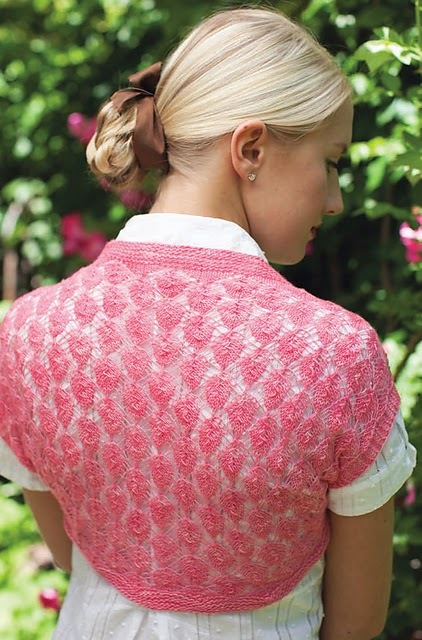 Since the shrug is worked as a rectangle, you won't have to fuss with shaping within this pattern, which will give you the freedom to concentrate on the two-sided lace. Can you see the delicate single strands radiating out from each strawberry? That's thanks to the decreases and yarnovers being worked on both sides. When you create lace with a stockinette stitch base, you usually purl back or knit alternate rounds, which creates two-strand lines in your lace. While that kind of lace is lovely (and the kind I usually play around with because, let's be honest, who doesn't love a soothing purl-back row or alternate round of knit stitches? ), there is a delicacy to lace worked on both sides. Two tiny seams and a few ends to weave in are all you'll have to do to finish this project. If you're ready to take your knitting skills to the next level, this pretty little shrug should be your next project. 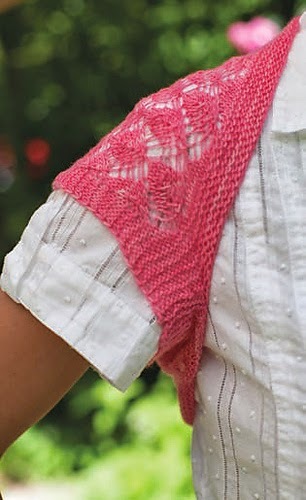 Visit the Strawberry-Picking Shrug page on Ravelry. 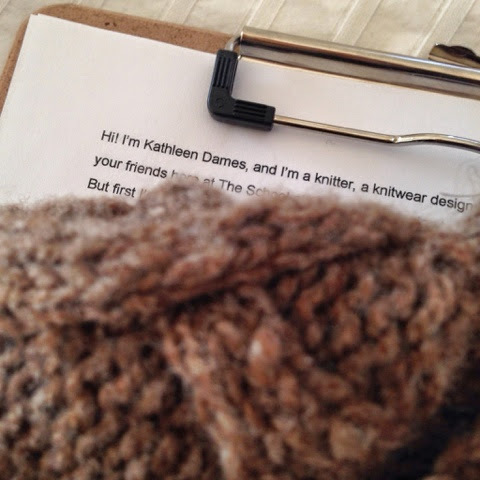 Order your own copy of Jane Austen Knits 2014. 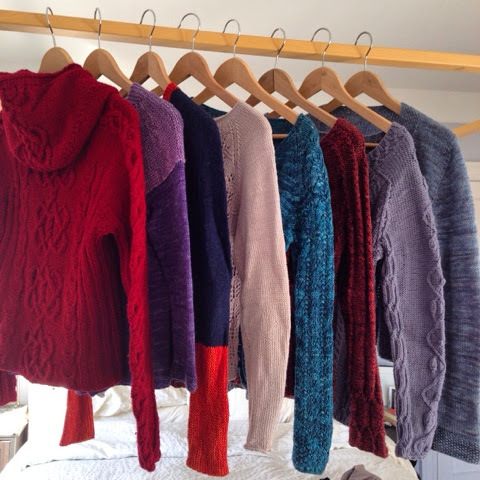 Or grab one at your LYS - Small Business Saturday is coming up on November 29th! The cozy, bulky Ozark Wrap is knit in sheepy Takhi Yarns Montana (a minimally processed, roving-style yarn available in natural sheep colors), shown here in the #001 Natural colorway. This one begins with a stretch of i-cord and ends with an i-cord bindoff. In between you work a textural knit-purl chevron pattern (reversible!) and some i-cord cleverness for a beautifully edged piece. The only finishing you'll have to do is weave in some ends. 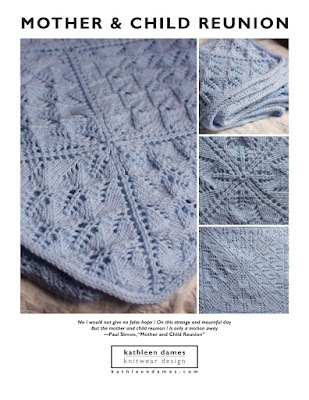 This one is a perfect winter project, as it can almost double as a blankie, while you're working on it. If we're in for another polar vortex this Winter, you'll be psyched to wrap yourself up in all this sheepy goodness. Check out Ozark Wrap's pattern page on Ravelry. 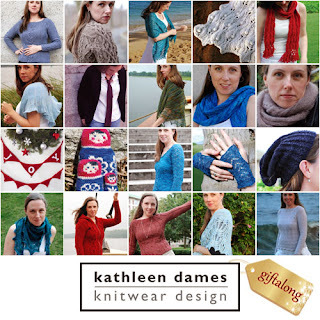 Order your own copy of Interweave Knits, Winter 2015. Or better yet: visit your LYS to pick up your own copy. Small Business Saturday is coming up on November 29th - be sure to support your favorite!